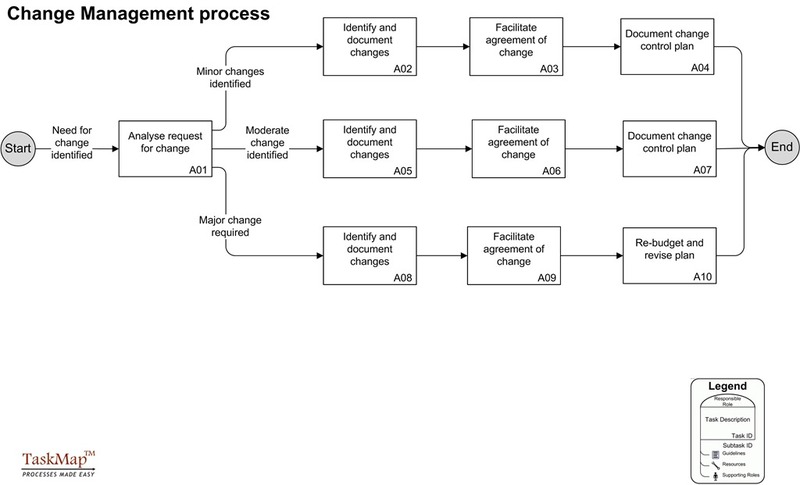 Once the change or trouble has been identified, then a strict and agreed process needs to start immediately. Imagine how many projects are started, the project owner signs the contract and the project manager begins work. Everyone assumes that all is going to go perfectly through the process; the project owner or sponsor never changing their mind or project needs and the project manager never changing anything or missing any deadlines. The stuff that dreams are made of, but unfortunately, not how it typically happens. What is amazing is the number of project managers who enter a project and never discuss how they are going to deal with changes. This very obvious and big MISTAKE is one that is made not just by novice project managers, but by experienced managers as well. Trust me and all will be well. It is truly amazing how many times this mistake is made. 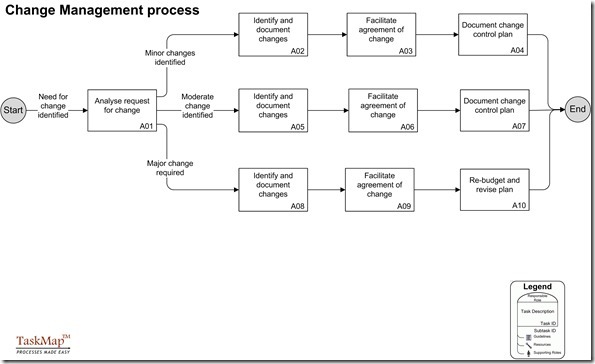 As the diagram illustrates, the change management process determines exactly how changes will be accepted and integrated into the existing project plan. This single technique provides both the project owner and the project management a means to deal with change in the project successfully. Without this mechanism in the program it would be impossible to deal with changes, this in turns leads to disputes and more.